 The Grammy's 2019 turnout was not great with big stars such as Taylor Swift, Rihanna, Ariana Grande, Beyonce, Jay Z and more giving the music award show a miss. However, the ones who did turn up tried their best to add some bling and drama to the evening with their outfit. Not all of them were successful. 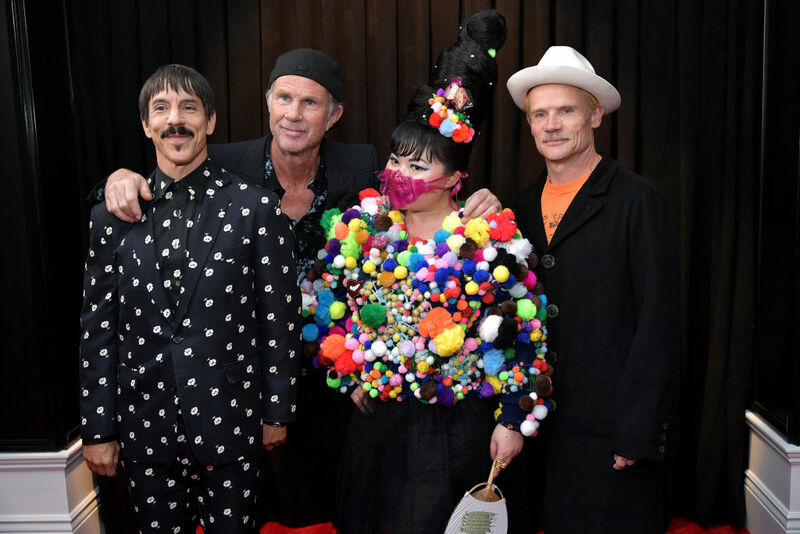 Some made their outfit work, but here is a list of people who looked anywhere between hideous to uncomfortable in the outfits they chose for the evening. 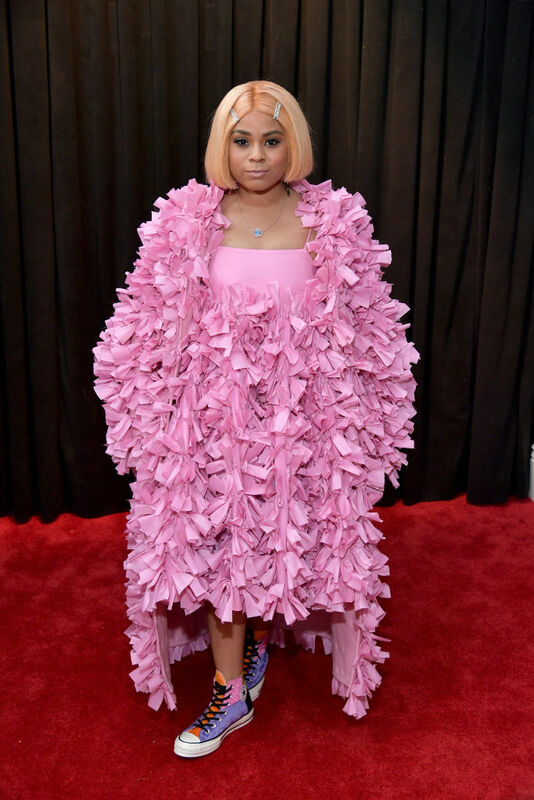 Tayla Parx takes the award for the worst dressed for the evening with her layered gown, which looks like a heap with no rhyme or reason behind its shape and form. 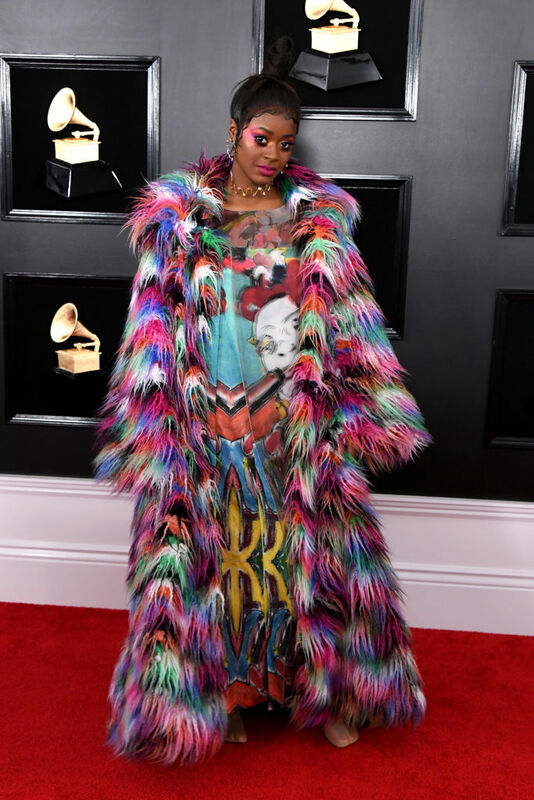 Tierra Whack's outfit, especially the rainbow-colored cape looks terrible. Her makeup does nothing to help and only highlights the inadequacies of her outfit. Jeannie Mai's white catsuit with sheer sides does not really look it would be comfortable wear and the pictures really do capture how confining the outfit is. 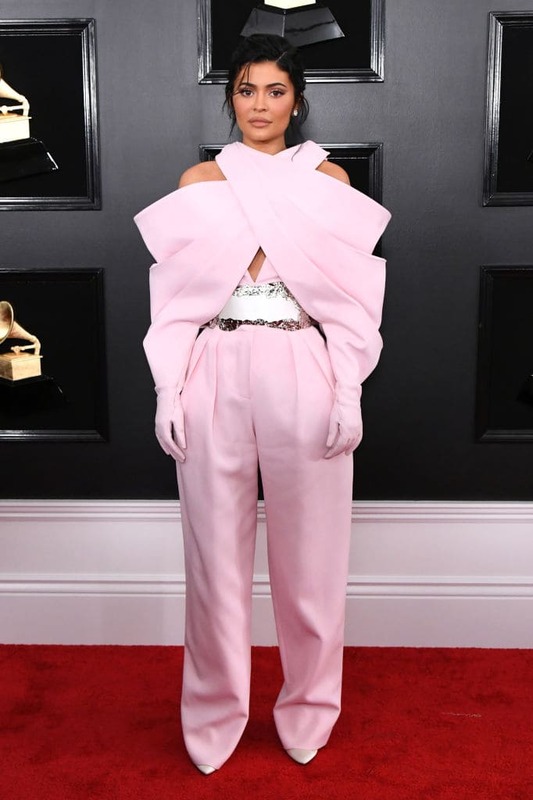 Du Yen's outfit for the evening looks interesting, but the pop of colors don't really go well together for the occasion and she looks more like a popsicle with a lot of topping. Seems like someone's missing their craft supplies! 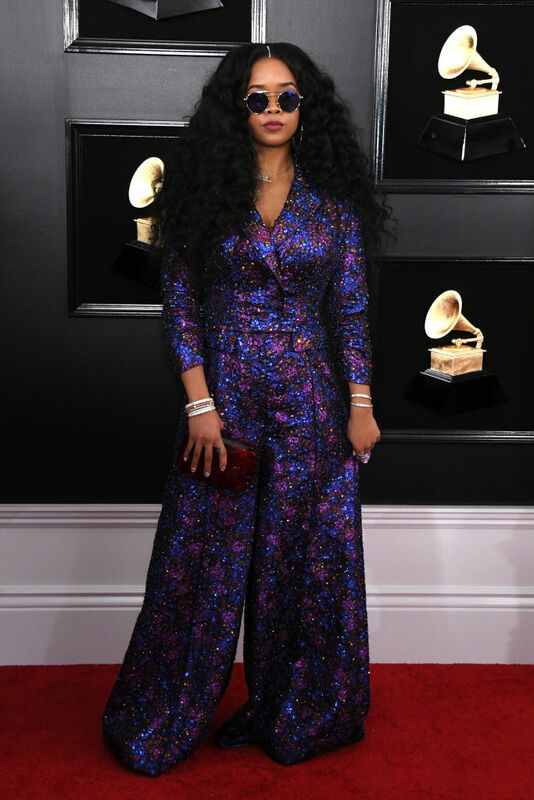 Andra Day probably tried to look like a retro queen, but the weird periwinkle outfit paired with the same colored stocking and the details of the dress don't really do anything to match the stunning hairdo. HER's outfit made it to the worst dressed list only because of how blah it is. There really is nothing interesting about this shiny sequence-filled outfit, and that great hairdo certainly deserved much better. The Colombian rock band - Aterciopelados tried something bizarre and while it was not hideous, it wasn't too great either. The band matched each other's outfit (which looks like a costume from an alien movie). Turns out Andrea was dressed like an actual Grammy award! We're not really buying this one. 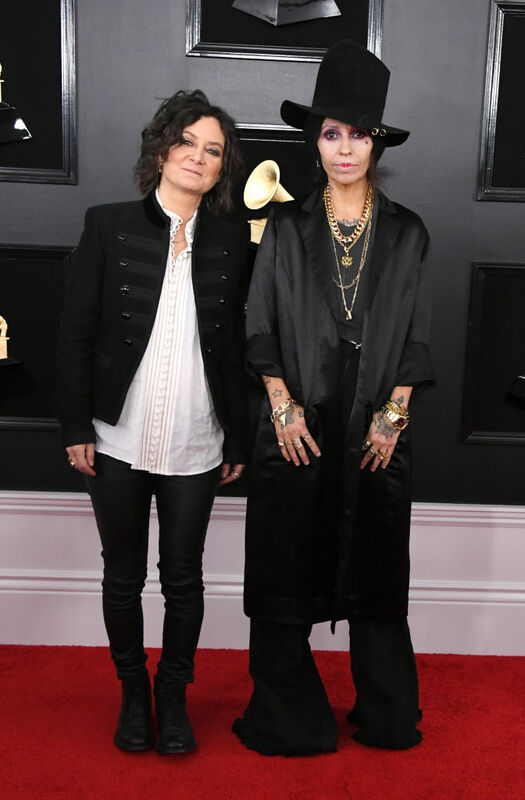 The almost ankle-length shirt did nothing to complement Linda Perry and the pants are just not right for the occasion. Her beaver hat did add some fun to the otherwise mundane outfit. We are pretty surprised to see her here as well. Usually, she does have her fashion game on point. But this time, the reality star who came to support beau Travis Scott did not seem to be in her element. While she opted for a color that was easy on the eyes, the cut and fit of the outfit didn't quite make our hearts flutter.  There was no extravagant skin show, not that we are asking for it, but the pink jumpsuit seemed to just fall about her doing nothing for her famous curves. It featured a halter top ending in gloves! The look was paired with a white and silver belt and matching pink heels. The ensemble was from one of fashion's biggest houses - Balmain's Spring/Summer 2019 Couture, but just the enormity of it all didn't seem to present a pretty picture. Heidi Klum's white dress with feather-like detail is just not working for her. The ruffle on her back and the right side of her neck looks badly shaped and we just don't get what it is.